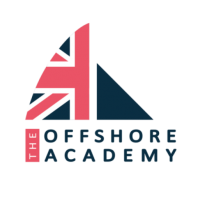 With the 2017 European sailing season fast approaching, British solo sailors from The Offshore Academy have been hard at work preparing for a programme of gruelling racing in the lead up to the 2017 La Solitaire URGO Le Figaro. The 2017 season kicks off in a week’s time, and will see Mary Rook compete in her Bénéteau Figaro II ‘Inspire+’ whilst team mate Hugh Brayshaw will sail ‘The Offshore Academy’ for his second season. The 2017 Solo Normandy race will start on Friday 17th March, following a course around the Cherbourg peninsular, starting from Granville, and finishing in Cherbourg after approximately 36hrs of racing. It is the sailors first opportunity to put their winter training into practise, lining up against some formidable French opposition.